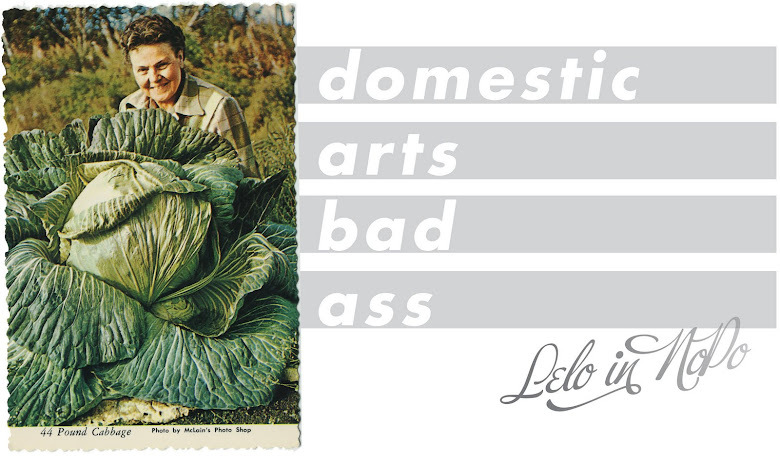 Lelo in Nopo: Who knew rhubarb could be so delish? I recently got my hands on some rhubarb for the very first time. And not just any rhubarb. This stuff is gorgeous. Seriously. I couldn't stop admiring its beauty. Red metallic? Intense. 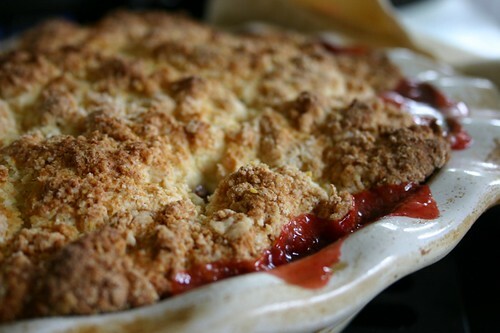 The Strawberry Rhubarb Cobbler recipe I used is from the always wonderful Kitchen Parade. (Alanna's recipes are always good!) 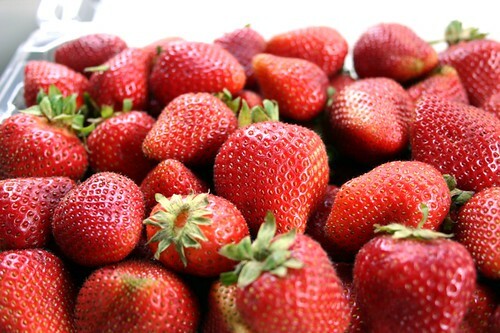 Strawberries and rhubarb are a classic combination, in season at the same time, and their colors! And with this long grey spring in Portland, these vibrant colors are so welcome. Such an easy recipe, with no pie crust to roll out, and a whole lot less butter. 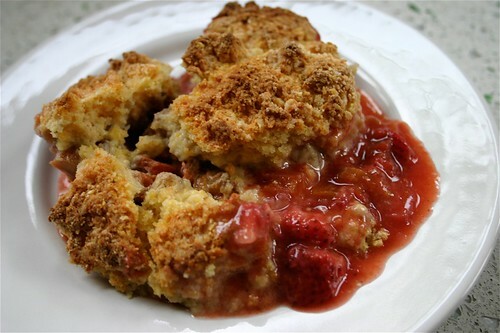 I had never made a cobbler with cornmeal, but it gives the crust a wonderful crunch. Did I write about how good my kitchen smelled? But then there was what it tasted like....pure deliciousness. The tart tang of the rhubarb joins with the sweet strawberries, sugar and cinnamon and it's the weirdest thing. I could swear it was carbonated. It bubbled in my mouth like carbonation. Or it felt that way. Now THAT'S an introduction to rhubarb. Taste-a-liciousness! my mouth is watering!!! great photos, too! Holy Moly! I can't believe I didn't stick around long enough to eat some of that! What was I thinking?? And great rhubarb photos, too! thanks for the extra attention to my blog...I can always use the good press!! Aii, maybe it's the beautiful rhubarb, the glistening berries or perhaps especially your sweet words -- or hey, maybe it's hormones -- but your post brought tears to my eyes and I'm sitting here pouring over the photographs, impressed that you've made cobbler look every so swank, which it isn't of course ... it just tastes that way. Thank you for today's big smile ... post tears, that is. I forgot to mention that I made rhubarb strawberry lime ice cream. Yes, I have an ice cream maker and I bet you do, too. 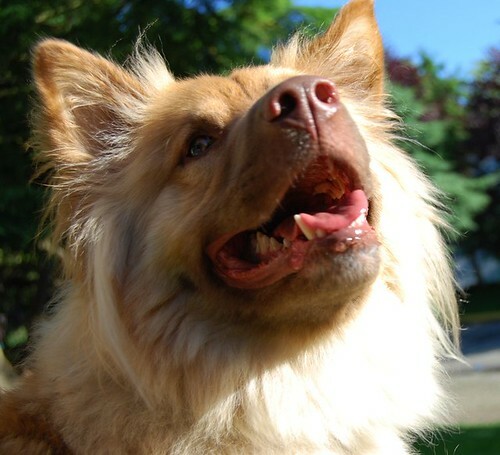 That is a wonderful picture of rhubarb! I've never had rhubarb before, but that pie looks so yummy. 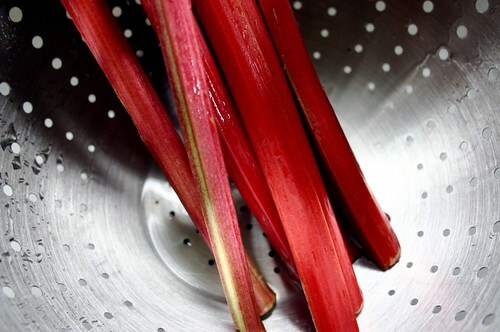 Get this: My mom tried to serve us plain boiled rhubarb (no sugar)---yowsa. That experience put me off rhubarb for years! 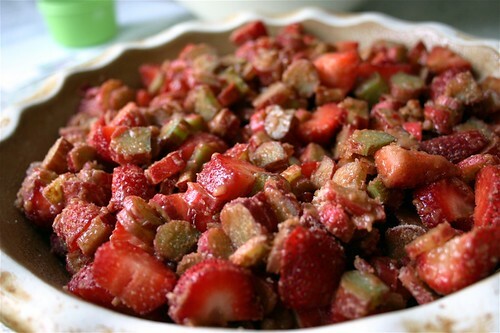 Those photos are making me want to run out right now and pick up strawberries and rhubarb so I can try the recipe for myself! Alas, I'll have to wait until the weekend for the farmer's market. I hear patience is a virtue. i am so growing my own rhubarb next year. 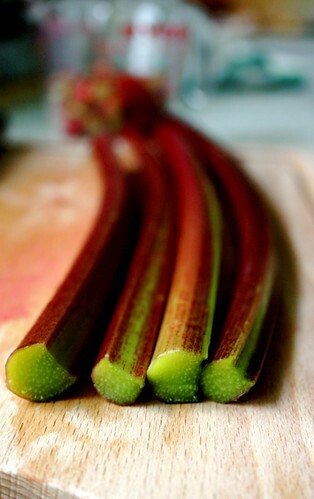 Rhubarb is a wondeful food - I'm glad you are so sold on it! Surprisingly it works well in a savoury sauce too - we've been having it a lot with tofu recently! I love sweetened rhubarb on my porridge too. That looks fabulous - thanks for posting! I've become a rhubarb addict as well. I cooked some down with sugar (not too much) and orange zest and cardamom and have been mixing it into vanilla or plain yogurt every day. Yum! Gonna experiment with strawberry rhubarb jam this weekend.